Two new features have been added to the SQL Editor System Tool. 1. Expand option added to SQL Editor. Right click any column label to expand column widths. 2. 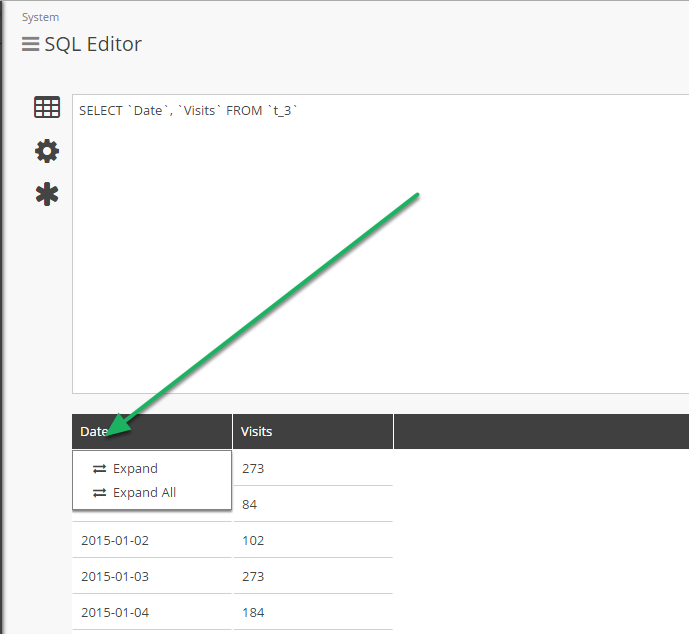 Show Data option added to SQL Editor. 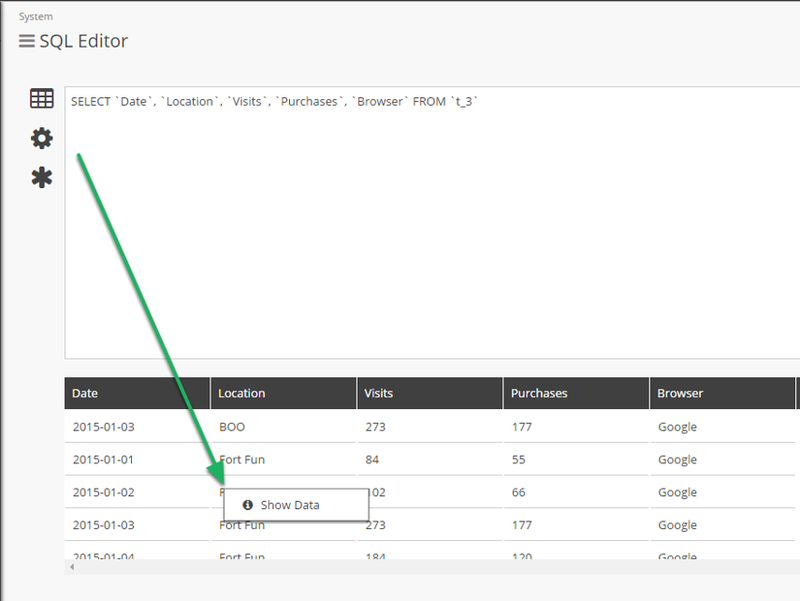 Zoom: Show Data option added to SQL Editor. Right click any field of data and select "Show Data"
3. You now have an expanded view of the data. Prev: SmartSheet Connector now available. Next: Drag and Drop is now available on Forms.